Crikey and others have written about the lack of direction at Coles. Here are some suggestions, without the benefit of any market research information. 1. Use social software and market research to solicit the best ideas from the shop floor. Coles employees skew young and are comfortable with this technology already but they are not engaged with the challenge. Every store has people with good ideas who (I suspect) have never been asked their opinion. Let staff rate each others’ ideas and reward the best ones. You have the biggest workforce in Australia. If they want you to succeed, you will. 2. 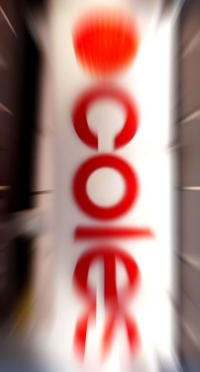 My hunch is that Coles should be re-positioned as LOCAL, generating pride at store level as to their separate identity; re-stating COLES as COLES ARMADALE, COLES MOSMAN PARK etc. Stores would source and promote locally grown produce and provide opportunities for in-store community advocacy. There will be substantial goodwill in ‘giving Coles back to the community’. It’s more about the people than shiny new stores and stock levels. 3. Coles Fruit & Veg should lead a deep restructuring of the farming industry; explaining food quality and wastage issues to consumers. Conspicuous, closer links with farmers. 4. Run a high-profile campaign in the short term called ‘Turning Coles Around’ in which you promote your desire for public feedback. Suggestion boxes on every checkout. Create www.turningcolesaround.com.au, publishing staff and customer suggestions. Making Coles an underdog is a strategy that will work very well in Australian culture. How about stop buying local pubs and turning them into liqor stores or degrading them? Marketing is full of ethical dilemmas. What works is not always what’s best for society. Ray Kroc developed a system for marketing hamburgers that generated adverse health outcomes. I doubt he foresaw the impact. Supermarket frej is dire. Just getting in food that’s fresh would help.